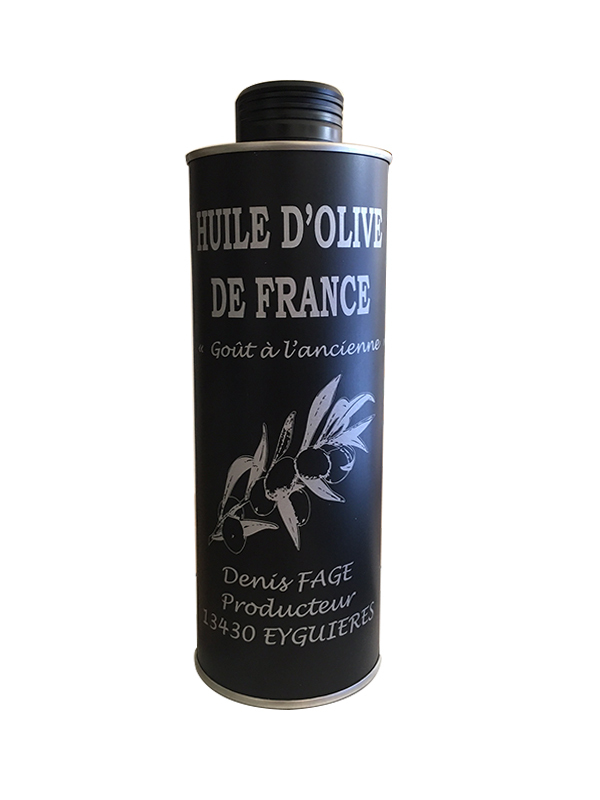 Extra virgin olive oil from the Vallée des Baux de Provence, black fruity with an old-fashioned taste. Sweet olive oil, authentic. Aromas of candied olives, black olives, truffles. Without bitterness and low or zero ardence. 100% France. 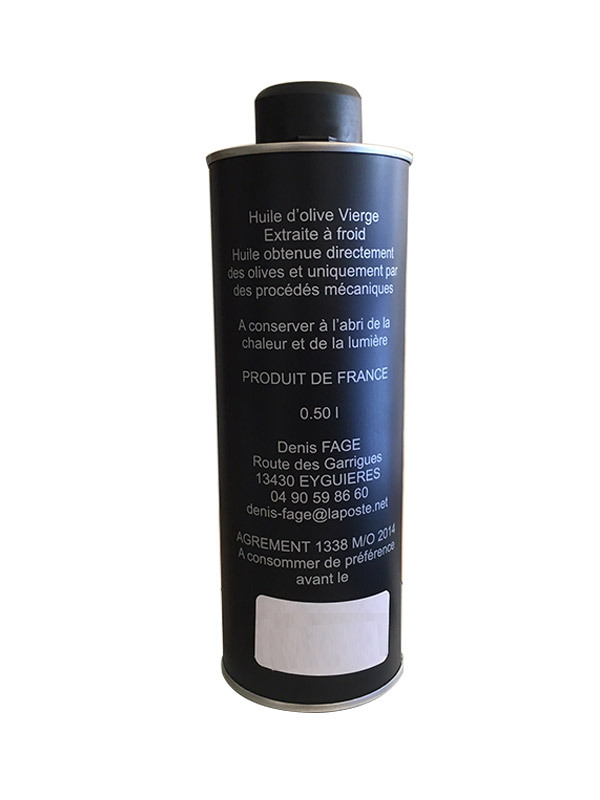 Olives from the Valley of Baux de Provence (Eyguières). 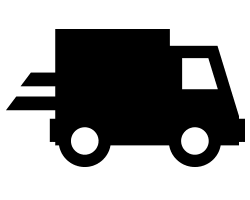 Extraction and conditioning in Eyguières. 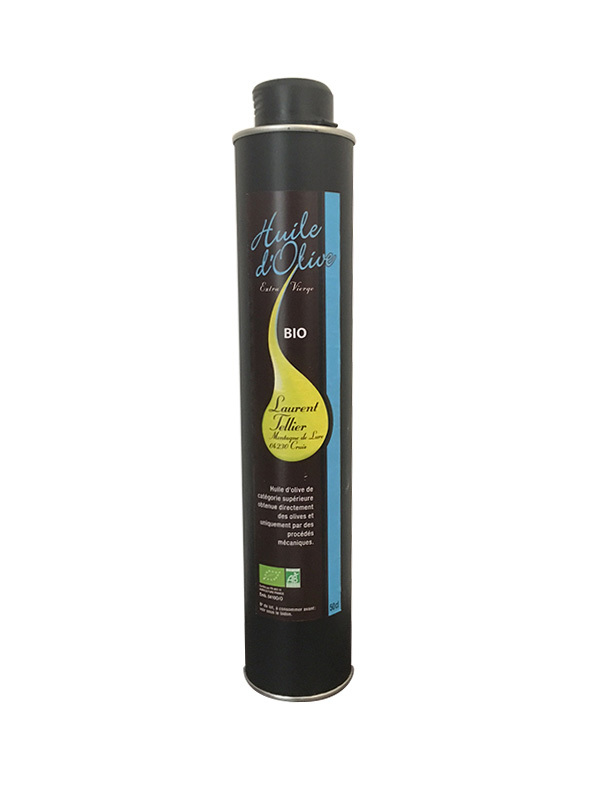 Extra virgin olive oil PDO from the Vallée des Baux de Provence with black fruity, old-fashioned taste. 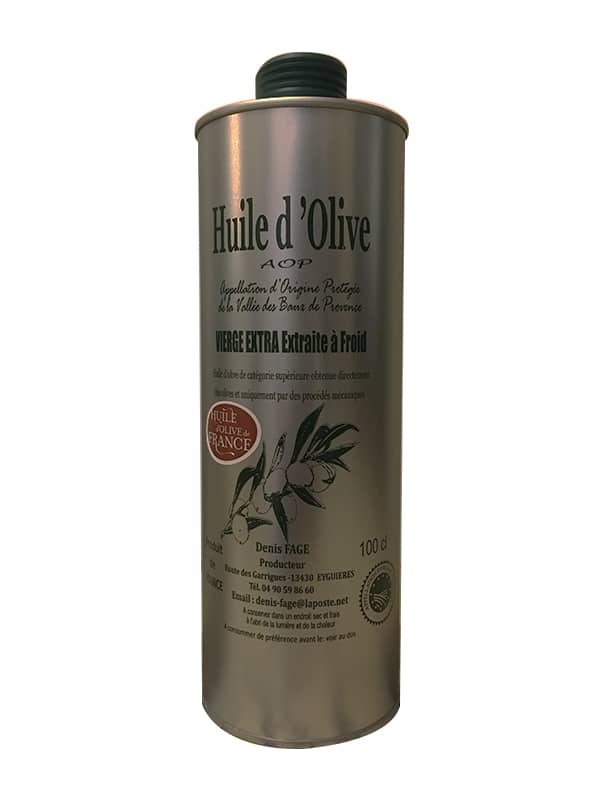 Sweet and authentic olive oil. Aromas of candied olives, black olives, truffles. Without bitterness and low or zero ardence. To enjoy on lamb, bushmeat and bulls. Excellent for making chocolate desserts.